Our Miller Road Mandala tells the Miller Road story and is featured on all of our luxury range packaging. Our Mandala depicts our gorgeous location in Devonport, Auckland, New Zealand, where we are surrounded by water, with our beautiful backdrop of Rangitoto Island - an icon of Auckland - shown around the outside edges of the mandala. Our journey and love of fragrance is shown by the roses, flower petals and droplets of fragrance oils. Moving to the centre - Miller Road. Miller, my maiden name and tribute to my family circle, where my love of fragrance began, is in the heart of it all. Early inspiration came from my family’s deep connection with fragrance, from my Nanas garden and orchard to my Mums gorgeous fragrant garden, and memories of her spraying opium perfume when I was an emerging teenager, continuing through to my vintage Chanel No 5 that my father gave to my mother when I was a young child, which I am lucky enough to still have. The Miller Road Mandala was created by the talented Nicky Malone at Malone Design. Treena has loved beautiful fragrance her whole life. Her home has always had a signature smell - from the early days of Peach pot pourri and wood shavings, to scented candles and diffusers. Treena in Grasse, France in the perfumery flower fields in the perfume capital of the world. Treena is inspired by Jo Malone, and after attending a masterclass in Melbourne with Michael Edwards, 'The perfume expertsʼ expert' author and industry ambassador, and a hotel stay in L.A where fragrance was pumped through the hotel ventilation system, Treena knew MILLER ROAD would be the perfect platform for her to share her love of fragrance and background in Interior Design by creating gorgeous candles to share, and bring a touch of daily luxury for others to enjoy in their homes. 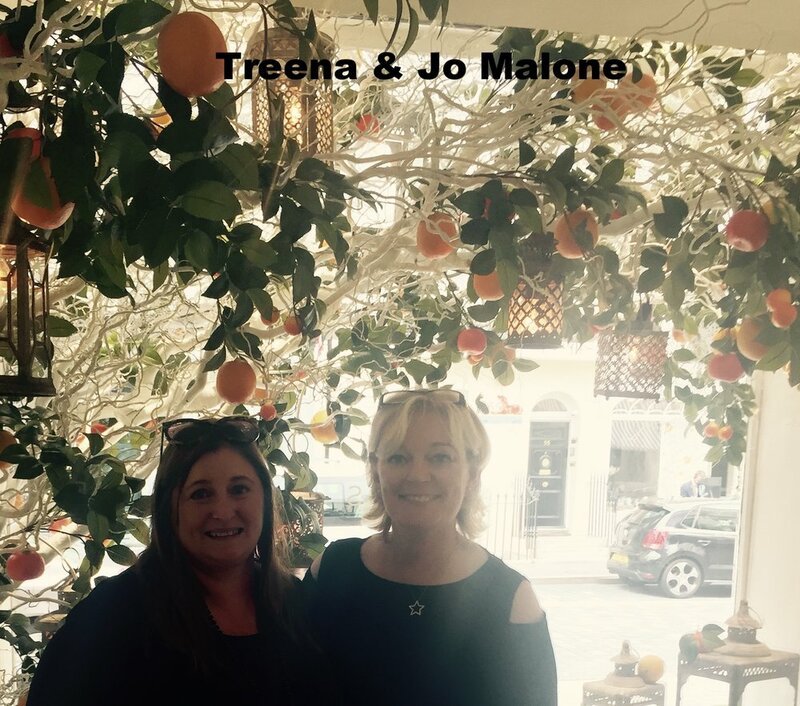 On a recent trip to the U.K & Europe Treena was thrilled to finally meet her fragrance idol, Jo Malone! Treena also made candles with Rachel Vosper - a leading British candle chandler and home fragrance expert. Treena has studied for 3 years with industry expert Karen Gilbert In the U.K and made fragrance at an Artisan Perfumery weekend with Karen at Rhinefield House just out of London, which was very inspiring and hands on. Lastly, Treena was able to create her own fragrance in Grasse, 'The Perfume Capital of the World' in the South of France. Treena has studied professional perfumery and has certification from the Grasse Institute of Perfumery and returns to Grasse most years to further her knowledge and make fragrance in the perfumery capital with some of the finest noses in the world. Treena is currently furthering her studies in Natural perfumery with Mandy Aftel & Ayala Moriel. Initially her perfumery training was intended for making candle fragrances, however her passion for fragrance has now taken a new path with the opening of the Miller Road Fragrance Studio in Devonport. Clients can join a small workshop and create their own bespoke fragrance using an easy to follow system to create a balanced perfume. Attendees take home a 30ml bottle of their creation and Miller Road keep their formula sheets filed so clients can remake or order a bottle of their bespoke fragrance in the future. Miller Road was established in 2013.